Our weekly meetings feature guest speakers that include business leaders, entrepreneurs from the Northeast Ohio area that offer you the opportunity to become familiar with a wide range of topics that are relevant to our daily lives as well as become acquainted with outstanding members of the community. By attending meetings you will not only enjoy the fellowship of Rotary but you will gain invaluable insight on current issues and perspectives from our speakers. The reasons for joining the family of Rotary are many. Cleveland Rotarians have numerous opportunities for humanitarian service, both locally and internationally. The Rotary Club of Cleveland’s service programs address a variety of concerns including hunger, education and the environment. Our 100th Anniversary Legacy Project - Project YESS is a youth sail-training program developed by the Rotary Club of Cleveland to provide an educational adventure during which high school youth, age 14 to 17, work together to develop character, leadership, and relevant life-skills that can be transitioned to careers within and outside of the maritime industry. Rotary Works! 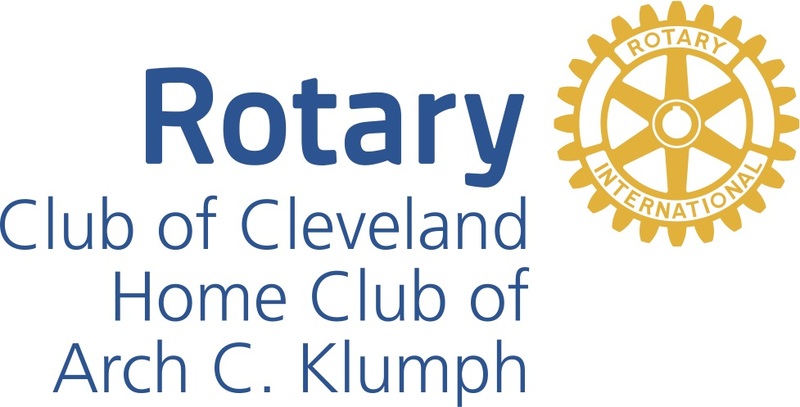 Is a program of the Rotary Club of Cleveland that returns us to one of the original goals of Rotary – allowing club members to meet and develop business and professional acquaintances with fellow Rotarians. What better organization to join to develop your leadership skills. Leadership is one of the key focuses of Rotary. You can learn team-building, fundraising, public speaking, planning and other leadership skills from your fellow Rotarians, who are all successful professionals. One of the most important aspects of joining The Rotary Club of Cleveland is the friends you will make. Rotary was founded on fellowship and Rotarians continue to embrace friendships – both locally and internationally. If you travel you will always have friendly contacts in almost every city of the world and a place to meet a smiling face. The Rotary Club of Cleveland meets weekly and is nonpolitical, nonreligious and open to all cultures, races and creeds. Rotary club membership represents a diverse group of professional women and men of the Northeast Ohio community. Rotary Club of Cleveland membership is by invitation only. A person being considered for membership is invited by a member/sponsor to attend one of our weekly meetings to learn more about Rotary. The sponsor may then submit the name of the candidate to the club’s membership committee. An individual who is interested in membership but doesn’t know any Cleveland Rotarians can contact Sharon Lerch Executive Secretary at cleverotary@aol.com or at 216-556-8637.